In partnership with Paleovalley 100% Grass-Fed Beef Sticks, I’m bringing you the best stocking stuffer ideas that aren’t candy. Whether you’re stuffing stockings for man, woman or child, this guide will have you covered. Gah! How frustrating can it be perusing the aisles at the store searching for stocking stuffers when all you see is candy. Don’t get me wrong, I’m not 100% against candy, particularly around the holidays, but when it comes to stocking a useful and thoughtful stocking, loading up with nothing but candy doesn’t quite hit the spot. Especially when we finally made it through all of the candy in our Halloween baskets, no thank you. I also loooove stockings, they’re one of my favorite parts of Christmas which makes me even more excited to share with you what kinds of things we fill ours with. Let’s make one thing clear, when it comes to candy in stockings I’m not a complete grinch, I’ll add one or two of my kids favorite (cringe-worthy) candies to their stocking like Nerds Rope or a Ring Pop. But an entire stocking full of hyperactive children candy? Eeks. 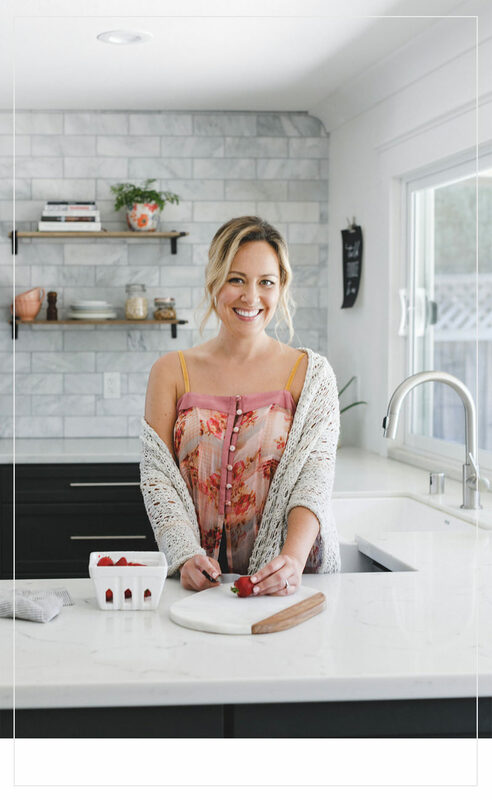 Instead I’ve rounded up some of my favorite ideas for stocking that aren’t candy but include some healthy snacks, beauty products and small toys that we love. Rather than linking to a zillion fancy products I wanted to keep this post realistic. 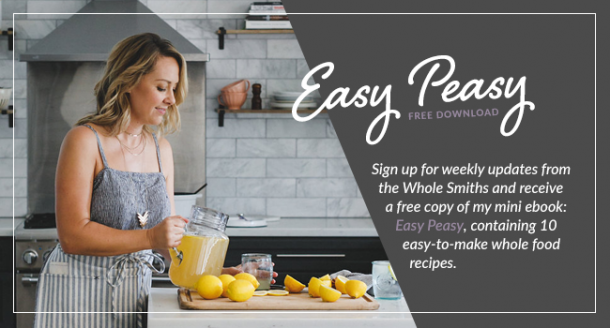 While it’s fun to see all of the $35 dollar gadgets that magazines have rounded up as their favorite holiday picks I wanted to give you ideas that are easy on the budget and easy to find. Each idea on here can be easily found on Amazon or at your local box box store and won’t break the bank. 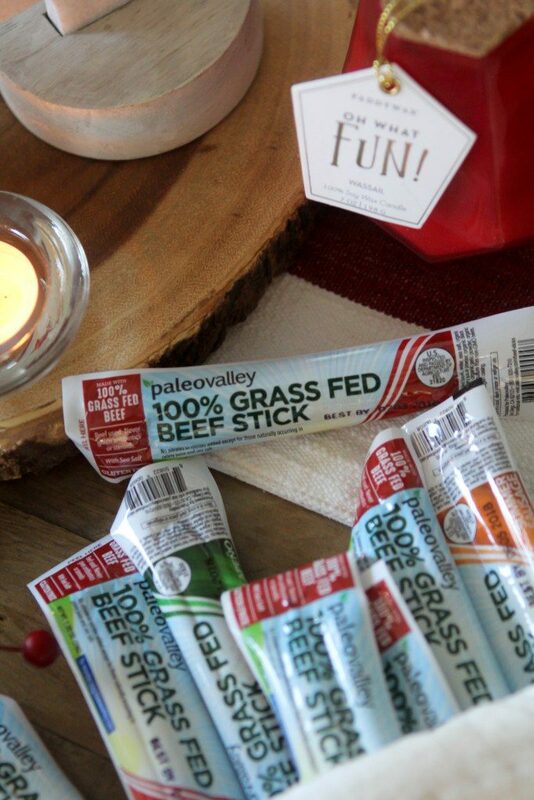 First up we have Paleovalley 100% Grass-Fed Beef Sticks. 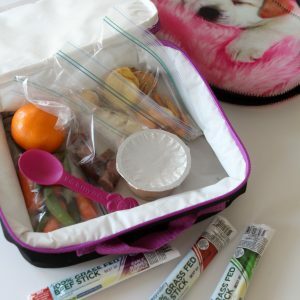 Not only are their beef sticks perfectly portable and stocking-packable but they’re super healthy for my kiddos and husband. I love that they can reach into their stocking and grab a snack that they love without it being loaded up with sugar. That way, when my kids are begging for a snack throughout Christmas Break I can direct them right to their stocking and not have to worry about it. In addition, an unfortunate by-product of living in California is the traffic and my husband’s commute can some days be up to an hour and a half which often leaves him wanting a snack and these Paleovalley Beef Sticks are perfect for that. Although, in truth we keep them stocked in our pantry throughout the year now and he mows right through them. 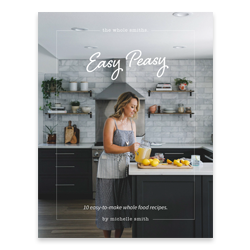 You can order Paleovalley products right from their website here and use the discount code for “smith” for 30% off your purchase. They have four varieties that you can choose from including Original, Summer Sausage, Garlic Summer Sausage and Jalapeño. Not only are the beef sticks 100% grass-fed but they use organic spices and are naturally fermented. 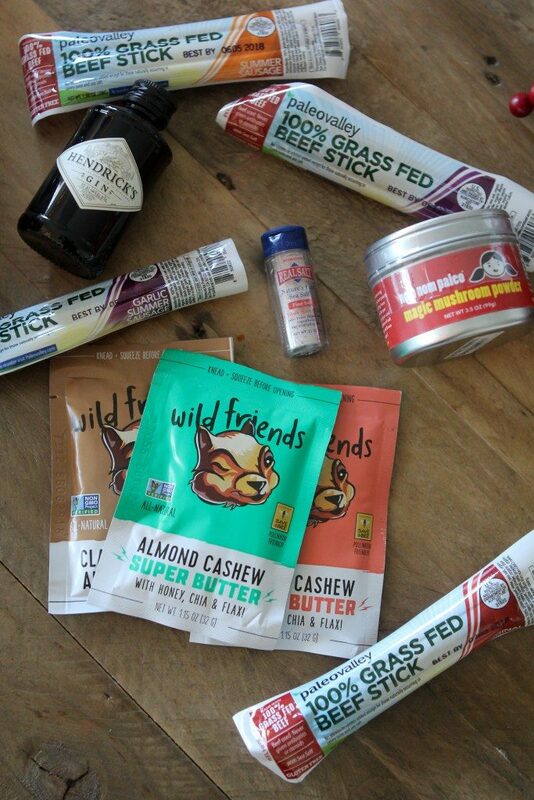 Some other food based non-candy stocking stuffer ideas include nut butter packets, Nom Nom Paleo’s Magic Mushroom Powder, travel shakers of sea salt, grain-free granola bars, mini bottles of your favorite adult spirits, fruit snacks, and cookie cutters. 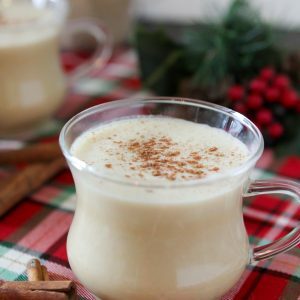 Let’s get back to the kids for a moment and talk about specific items that they’ll love to find in their stocking to make up for the lack of sugar and red food dye, shall we? Fortunately my girls aren’t too picky but finding things that feel special (and not cost an arm and a leg) can be tricky. I’m also the uber lame mom that tries to sneak in things that I would normally buy for them like new toothbrushes, toothpaste, socks and underwear. I mean, why not make their stocking functional too? Truly though, I’m not a huge fan of trinket-y junk because inevitably we end up with it all over the house and it ends up in the garbage. I lean more towards the quality over quantity rule of thumb when it comes to the girls stockings. But I get it, socks and underwear aren’t all that festive. (But I’m still adding them in!) So what is fun? Thanks to an overabundance of You Tube-ers unwrapping and unpacking even the littlest of gizmos, my children are now fascinated and in awe of the littlest things. And yes, they border on my trinket-dom but at least they actually keep them in one place and play with them. In case you have no idea what I’m talking about you can see one of the millions of these sorts of videos here. School children across the country are captivated by these videos. And in case you’re thinking this isn’t a profession, you can read this article here and question all of your life choices. You’re welcome. Seeing how lucrative these unwrapping videos have become, I’ve decided to create my own with my daughters. You can see us unveiling… well, you’ll just have to watch. I think I may be on to something however. So yeah, these blind bags and mini characters make great stocking stuffers but usually run about $5 a pop. Which means they can add up quickly for a stocking. So one (maybe two) if I’m feeling extra spirited go into their stocking. They’re also obsessed with Beanie Boos (i.e. stuffed animals), Squishees (i.e. pieces of foam shaped like food, characters and other inanimate objects) and LOL Dolls (i.e. small cartoon-like dolls that are hidden in a softball sized ball and wrapped with 50 layers of plastic that are sure to fill up your nearest landfill). Were we into such strange toys when we were younger? I mean, we did have Garbage Pail Kids… but those were cool, right? I digress. 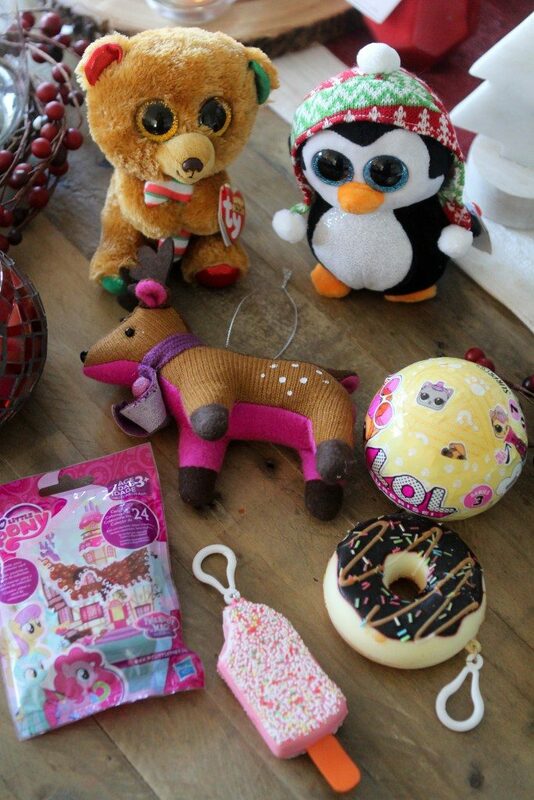 Fortunately all of these small beloved items will fit perfectly into a stocking. I’m aware that boys may enjoy different items in their stockings than over-wrapped dolls and squishy pieces of fruit so I asked my two girls what types of things do you think boys would like in their stockings? They answered Pokemon Cards and Lego “guys”. So there you have it. Both of those options seems remarkably more sensible than the girl selections. Other ideas that work for both genders include water bottles, ornaments, small puzzles, temporary tattoos or keychains for their backpacks (because that’s a thing too). Ok on to my favorite part, grown-up stocking stuffers. Most years I tackle assembling my own stocking, not because my husband won’t do it but I take it as an opportunity to fill it with as many cosmetic-y types of unnecessary products as possible. Yes, it’s called taking advantage of the situation or it can be my reward for getting Christmas together for the rest of the family. I choose the latter. As a self-proclaimed expert here are some of my favorite things to include in my personal (or any female’s) stocking… face masks, bath bombs, natural deodorants, tweezers, lip glosses, facial moisturizers (I really love Fatco for the dry winter air), nail polish, essential oils and natural soaps. I can keep going on but I think these suggestions are a great place to start. 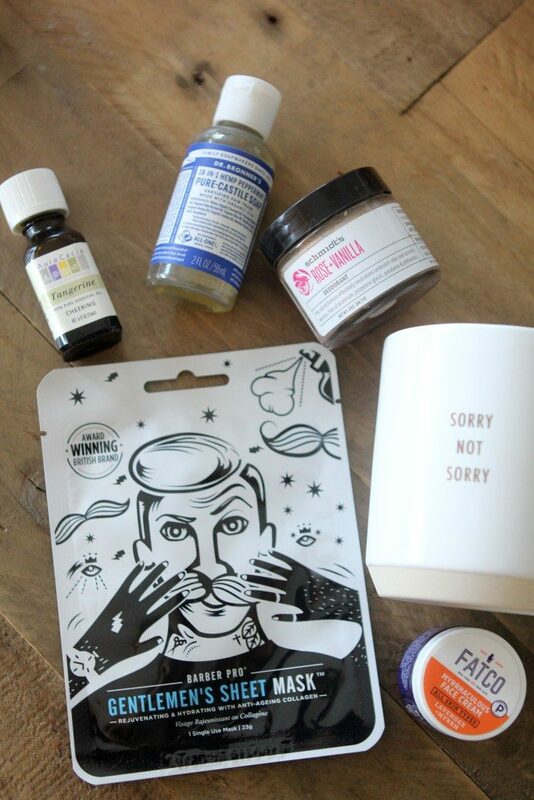 This year I even included my husband in my facial gifting endeavors and bought him a bro mask… basically a sheet mask marketed to men. It’s not totally his thing but something tells me he’s gonna love it once he gives it a shot. Maybe not? I’ll keep you posted. Some other ideas for both men and women include mugs, bottle openers, notebooks/journals, a beanie, a Pop Socket, a fun USB stick (trust me a quick search on Amazon will ope the doors to so many shapes, sizes and characters), lip balm or if you’re feeling a bit generous, a Tile for the special loved one in your life that can never find their keys (i.e. ME). I hope this gave you a few more ideas outside of the world of candy on what to stuff into your stockings this season. 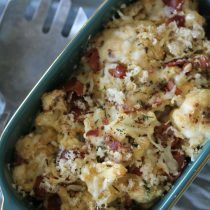 A special thank you to Paleovalley 100% Grass-Fed Beef Sticks for partnering with me on this post. 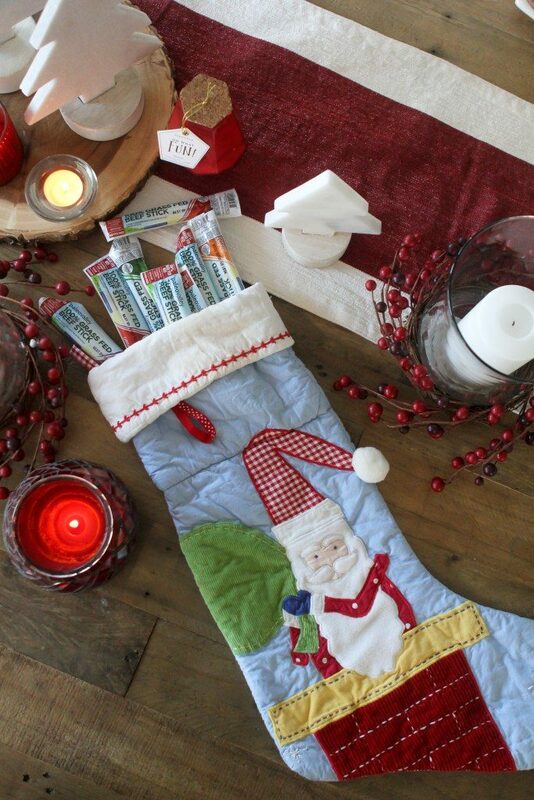 Not only do their beef sticks make an amazing stocking stuffer for kids and grown-ups alike but they’re the perfect portable snack year around. Again, you can find all of their products at their website or on Amazon. Make sure to enter “smith” at checkout on their website for 30% off your purchase. Please note that I only work with companies and products that I feel passionately about and that align with the Whole Smiths’ views and that this post contains sponsored content. While I am compensated for the work I do, my opinions and bad jokes are always 100% my own.